Clark writes with a lyrical and appealing rhythm, as she viscerally explores childhood emotions of fear and anxiety relating to bullying, abandonment, and getting lost. With a sharp focus on the isolated protagonist and his internal struggle, it is character development that shines most clearly, though the external environmental dangers and the mystery keep the suspense taut….A poignant story. This first novel from Clark offers unusual imaginative and emotion-driven introspection, earning its several allusions to The Little Prince. I’m a long-time fan of survival stories. I even wrote one of my own. 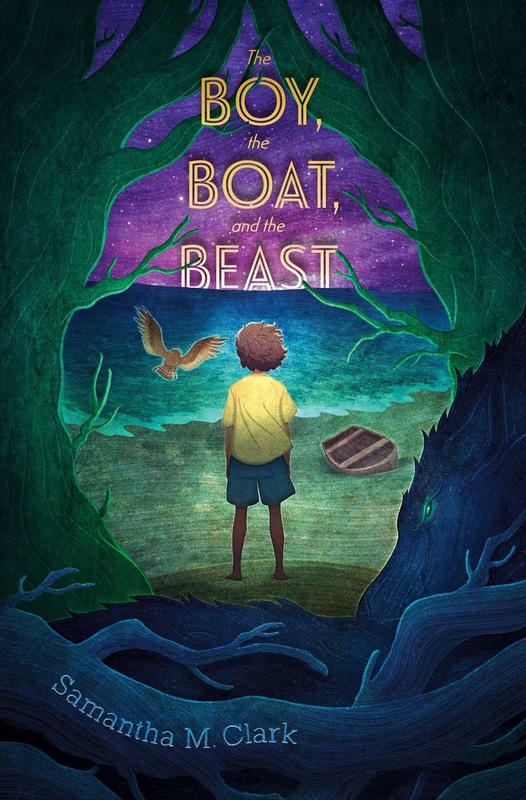 The Boy, the Boat, and the Beast is a wonderful new addition to the genre. The story begins with a Boy waking up on a beach. The Boy doesn’t know how he got there. He doesn’t know his history. He can’t even remember his name. He soon comes to realize a Beast lurks in the woods. Survival stories face unique challenges, especially when a character is all alone. There are no other characters to play off of. That means there’s no one to talk to, either! The brilliant solution in the movie Castaway was the addition of the volleyball, Wilson. In The Boy, the Boat, and the Beast, the Boy must face a Bully — an antagonistic version of himself. Like Wilson, the Bully let’s readers listen in to the Boy’s world. We hear his doubts and struggles firsthand. Survival stories are deeply internal. They often rely on backstory and memories. As the Boy struggles to remember who he is and how he might find his way home, he is faced with pieces of his past. Sometimes they seem real enough to touch. Some memories are hopeful and warm. Some leave him feeling inadequate and even more alone. And as the Boy gets glimpses of his history, readers get a clearer picture of the Boy. Of course, survival stories must also be external. There are physical challenges. Struggles. Obstacles that feel impossible to overcome. This story has all that, too. The Boy, the Boat, and the Beast takes the survival genre one step further in ways it would be unfair for me to share. The story must speak for itself. But I can promise you this is memorable and powerful read -- as Booklist describes it, an unforgettable, life-affirming tale. What a beautiful cover, and by your review, it sounds like an amazing story. Adding to my TBR!